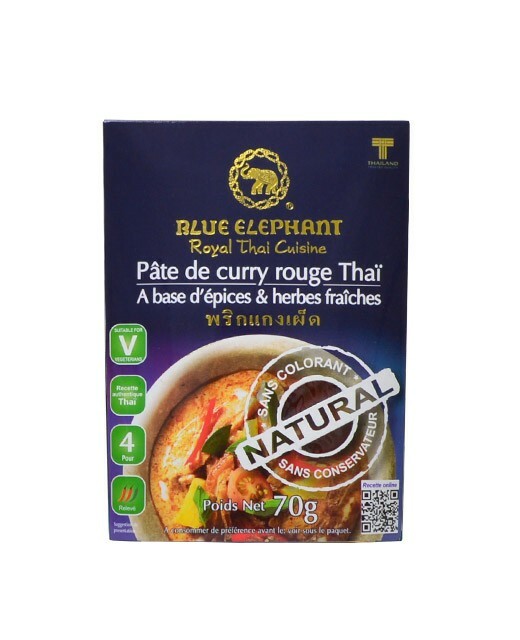 This Coconut cream made by the Blue elephant House changes the taste of all your Thai recipes. 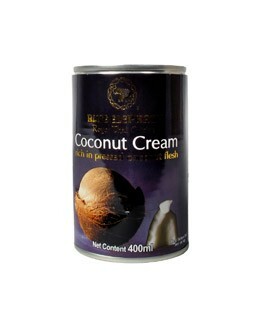 This cream is smoother than the coconut milk, and can add incomparable sweetness to all your curries. Coconut 53%, water, citric acid. 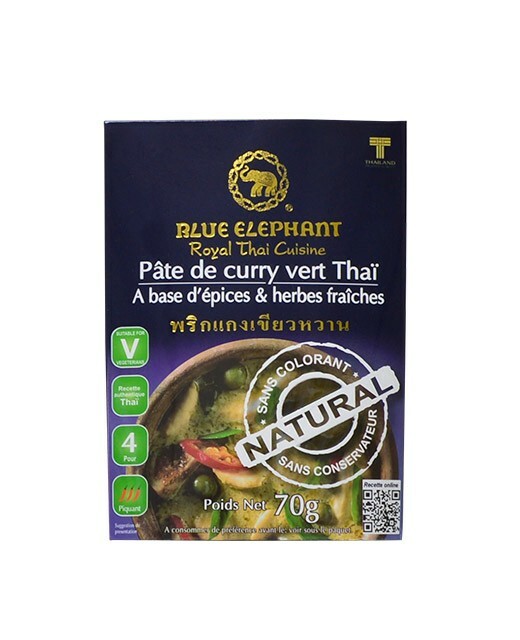 Blue Elephant is a chain of high-end Thai restaurants. These restaurants can be found in Bangkok as well as in Paris and London. 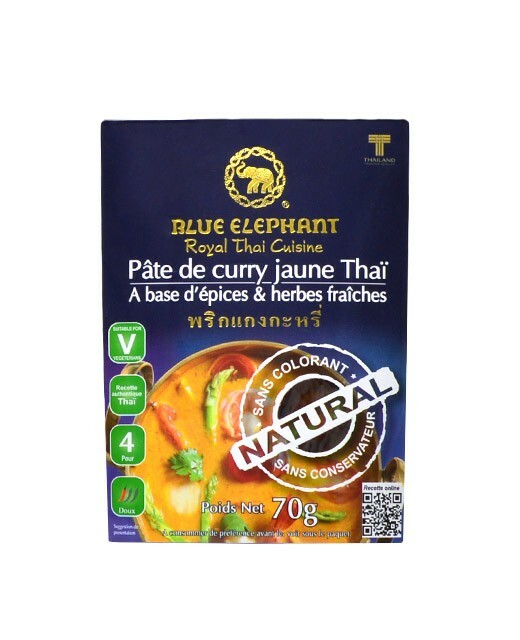 These last years, Blue Elephant has launched a collection of products of excellence to cook at home in order to allow everyone to taste the Thai gastronomy. 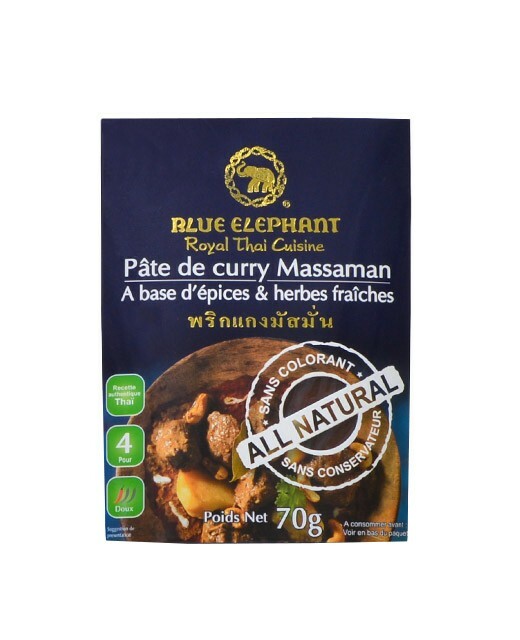 Essential element for almost all Thai preparations.